Hi all we arrived safely after the LONG journey down under and are having fun. 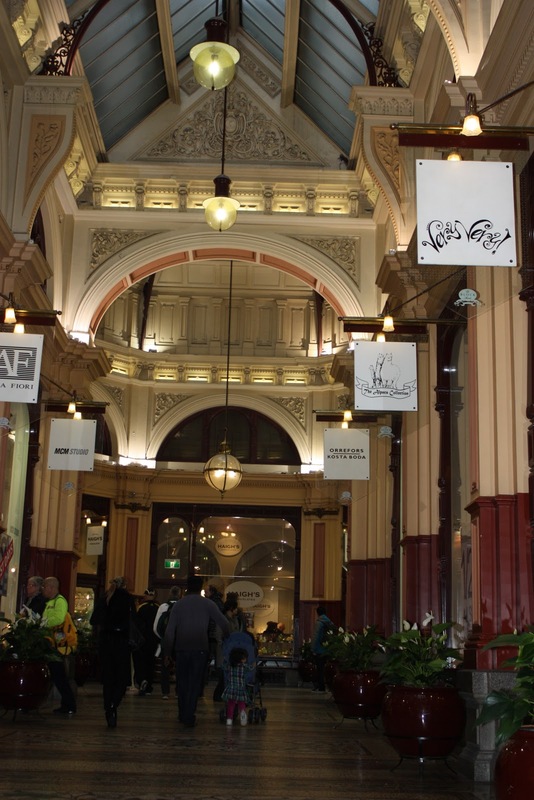 Melbourne is a vibrant, multicultural city with great food and friendly people. The weather is a tad changeable not unlike the UK my homeland. 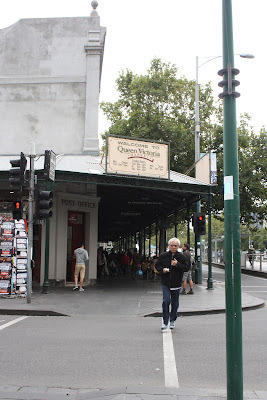 Yesterday we visited the Queen Victoria market wow foodie heaven, great foods, fresh produce, meats, clothes, and a food hall. Here are a few snaps to share the experience with you all and a small clip. I don't have internet so am using the free wifi in the Lobby for this post! Inside the market there are over 1000 venders! This butcher made me smile! If your in Melbourne be sure to take the little side alleys between the main streets so many amazing places to eat and folks sitting outside. Pretty Victorian arcades, reminds me of Leeds in the UK. I also meet Emma Stirling a dietitian here in Australia I meet on twitter we had the most lovely afternoon and our kids played together, I felt like I had known her for years she is the sweetest person ever. This evening we are meeting local Melbourne food bloggers for dinner, will write another post in a couple of days to fill you all in. Wow! Have a great time. We have been planning for a trip to Sydney. Will take your tips when we go. Those pictures speak a lot! So much of fun and activities. The whole area looks so lively. Have fun, Rebacca. Awesome-you have made me want to visit even more than before! Enjoy and keep updating us! Look like you had so much of fun in this market, I will do the same visit to this famous market if one day visit to MEL. Glad you made it safely to Melbourne! Visiting food halls/stalls/markets when traveling is one of my favorite things to do-so fun to see all the different foods you don't see at home. Enjoy the time with your family! Great to know you made it safely! Looks like you are having a blast already! I'll keep track of your Australian adventures for the day when I (hopefully) visit! Gald you made is safe and sound Rebecca. Love all the pictures you shared with us; sounds like a busy fun place. What a wonderful market! Have a great time on your visit there, Rebecca! Can't wait to see more pics! What a fabulous trip! I love all of the videos and colorful pictures. Enjoy and I'm dying to know if you ate the 'roo! Hi Rebecca! Wow. Thanks so much for sharing such wonderful photos. Glad you are having a good time!!! It must be fun meeting food bloggers around the world! :D I've never been to Melbourne...despite living in Australia! wow, send my "vitrual" best to Emma. What are you in Austrailia for? wow, i would love to go and explore that market!!!. ave a lovely time!! I loved Melbourne when I visited there. And I ate a lot of good food there too! How fun that you're meeting bloggers! oh thats awesome that you're in melbourne! too bad im there not here right now otherwise would be good to catch up! if you've more time there, don't forget to try Hardware Societe (a cafe) and St. Ali for brunch! 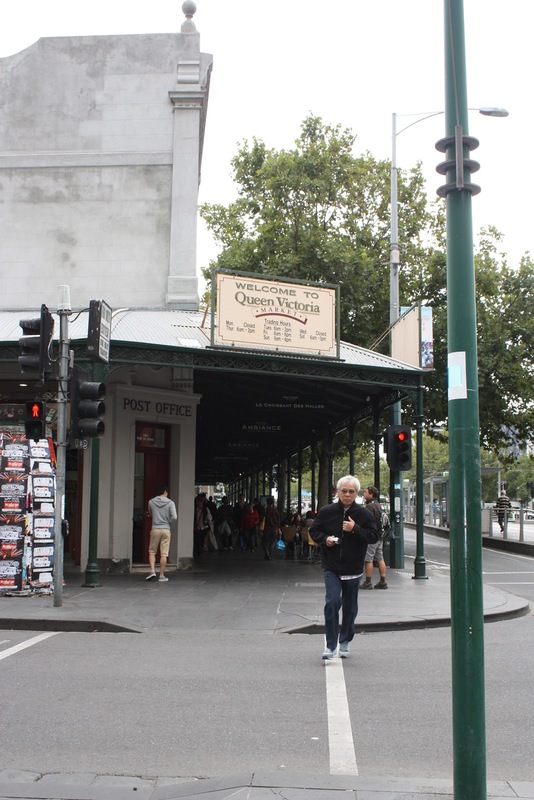 I love Queen Vic Market too! :) South Melbourne Market is pretty good too! Wow! What a foodie forum! This is simply amazing. Looks like foodie heaven, I hope to visit Melbourne one day! Have a great time! Nice coverage!!! Would love to go there and shop! Great pics. Have a fabulous time. Great photos! You seem to be having a jolly good time "down under". 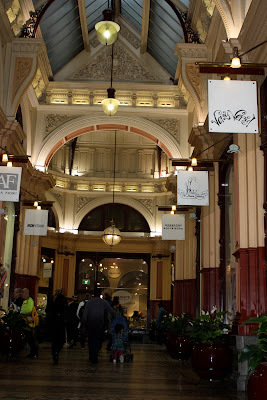 Absolutely adore Queen Victoria Market! Visit it every time I'm in Melbourne and the deli hall blows me away as there's nothing like it in Sydney.